ElectropreneurPark (EP),managed by Software Technology Park of India (STPI) with Delhi University as the Academic Partner and India Electronics & Semiconductor Association (IESA), the premier industry body representing the electronics, semiconductor and embedded systems offers a unique integration of government, industry and academia to nurture ESDM startups in India. 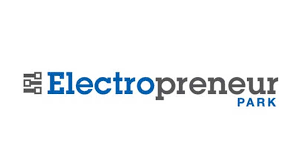 Electropreneur has now launched invitation of proposals for the 5th cohort from Electronic and Hardware startups for Incubation and Virtual Acceleration program after 4 successful rounds of Incubation. The first of its kind, a focused pre-Incubation program for young students and startups at EP is also launched this year to handhold atleast 10 startups for creation of a unique prototype from Idea stage within a period of 3 months. All startup groups joining this program shall have access to technical experts from ESDM industry and reimbursed raw material costs for creating a working prototype and prepare for Incubation stage. Last Date of Applications is 15th February, 2019.